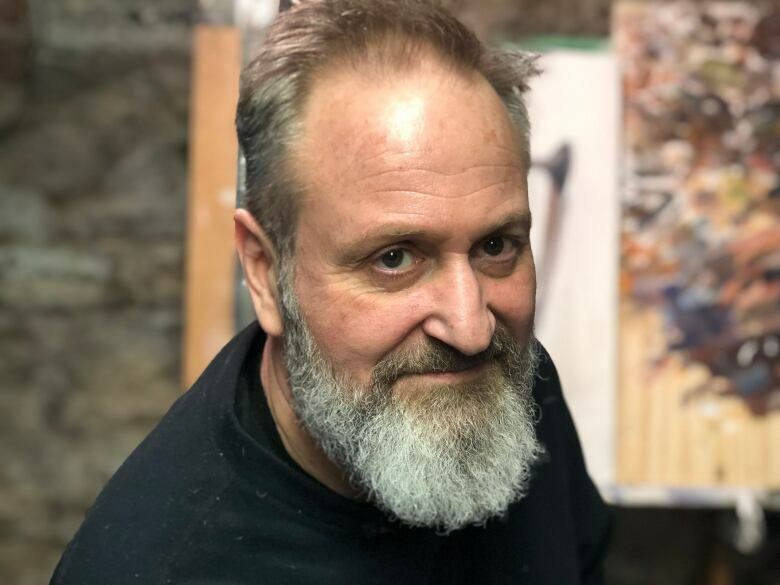 A Toronto artist is hoping to recover one of a pair of paintings he gave to a former gallery owner on consignment after he says the gallerist sold the other one without telling him, and never paid him his cut. 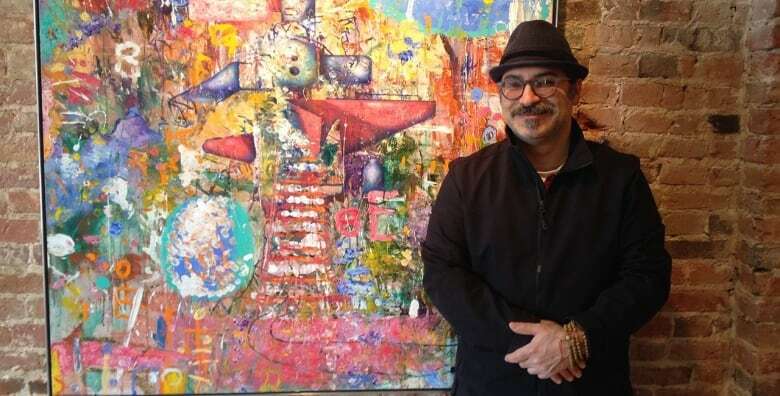 David Goldberg met Steven Schwartz more than a decade ago, when he says Schwartz’s Engine Gallery was “fairly recognized” in the city’s art scene “on the Queen Street strip,” a central Toronto corridor of cultural institutions and shops. A couple of months ago the 50-year-old painter discovered that Schwartz sold his painting The Bather for $7,250 in late 2017 — several years after he gave the gallery owner the work and another painting, Danielle, on consignment. Goldberg says Schwartz has made no effort to pay him his share of the sale and said he has no idea what happened to his other painting. 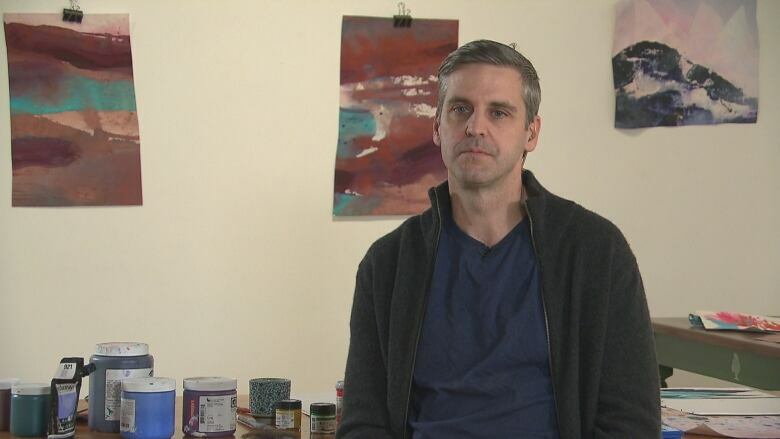 The former gallery owner told CBC News he “went bankrupt,” but records show that proceeding started four years before Schwartz allegedly sold Goldberg’s painting. “Artists just leave things with me to take care of, I try contacting them, they don’t pick things up,” said Schwartz. By the time Goldberg tracked Schwartz down the Engine Gallery had moved twice. First to Toronto’s Distillery District, an arts and culture hub on the edge of downtown, and then about 100 kilometres east of the city to Port Hope, Ont. — where a fan of Goldberg’s work told him they’d seen The Bather on sale for $10,000. Eventually Goldberg went to see for himself, but Schwartz’s gallery had closed. Another gallery owner in town remembered Goldberg’s painting, though. 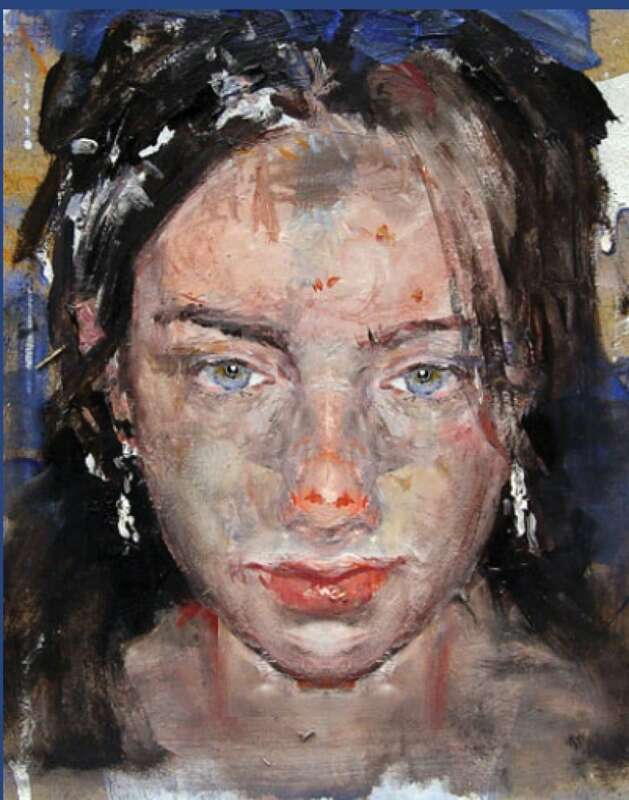 Robert Polutnik had shown the work, along with the art of about half a dozen other artists Schwartz had at his own gallery in the summer of 2017. “We said, ‘Sure, we’ll display them as long as it’s OK with your artists,'” said Polutnik, former owner of the Art Emporium By the River, which has since closed as well. But then Polutnik says he “ran into issues” when artists came looking for work they said Schwartz had. As a result, within a couple months Polutnik says he told Schwartz to come get all the artwork because he was “tired of being the middleman,” between Schwartz and his artists. “I had no idea he wasn’t paying people,” Polutnik told CBC News. Then in November 2017 a client came back to the Art Emporium By the River looking to buy Goldberg’s painting, after seeing it on display that summer. Polutnik contacted Schwartz to arrange the sale, but says when Schwartz brought in the painting the buyer noticed it was damaged. As a result, Polutnik says Schwartz agreed to reduce the price to $7,250. Polutnik got a $1,250 finder’s fee and says he paid Schwartz $6,000 in cash. The painter knows he’s “out the money,” especially since he only had a verbal consignment agreement with Schwartz and didn’t have a contract for the 50 per cent or $3,000 he says he’s owed. But Goldberg doesn’t believe a consignment contract would have made a difference in his dealings with Schwartz — because another painter who had a contract with the former gallery owner is out a couple thousand dollars as well. 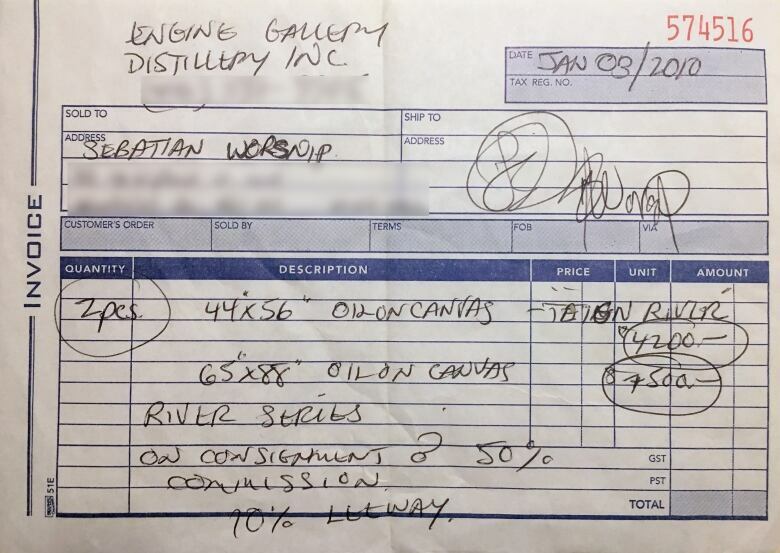 Sebastien Worsnip gave Schwartz two of his paintings under a consignment contract in January 2010, when Schwartz’s gallery was in the Distillery District. And like Goldberg, he’s had trouble getting in touch with Schwartz since then. After a lot of back-and-forth, his daughter drove to Port Hope to get her dad’s paintings from Schwartz, only to find one of them had been sold. The other she brought home to Toronto. Worsnip says Schwartz promised to send an e-transfer for the sold painting, but the $2,000 he says he was owed never came. CBC News found a bankruptcy record matching the former gallery owner’s name and birth date. The proceeding started in November 2013, just under a year before a “Coming soon” sign appeared in the window of Schwartz’s gallery in Port Hope, and four years before Schwartz allegedly sold Goldberg’s painting. “This is old news and old business,” said Schwartz. So far, neither artist has heard from Schwartz. Pileup involving dozens of vehicles shuts down Highway 400 near Barrie, Ont.